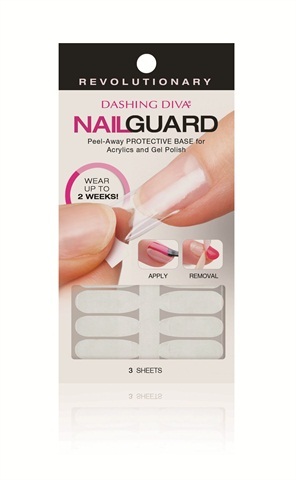 Dashing Diva's Nail Guard is a mocro-thin base layer that can help maintain your client's nail health. Use the peel-away protective base for gel-polish and acrylics, which can be worn for up to 14 days. For more information, visit Dashing Diva.